We are pleased to present the first edition of our bi-annual newsletter, covering latest news, notable sales and upcoming exhibitions. Highlights from the first half of 2015 include our redesigned website, a selection of Western & Modern notable sales, and an upcoming exhibition focusing on Chicago female surrealists. The website includes an updated design featuring a selection of our current inventory, notable sales, our exhibitions archive, and more. 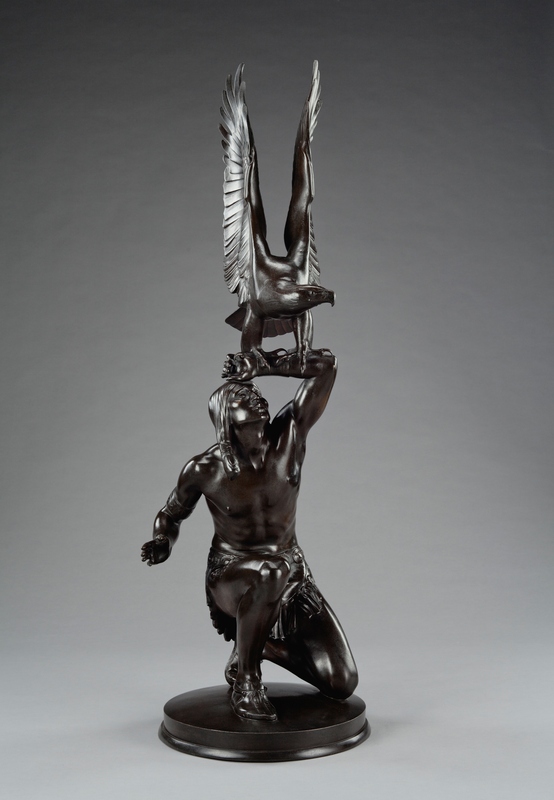 Recent Notable Sales have included a bronze by C. Paul Jennewein to the Denver Art Museum, along with private sales of Henry Farny’s Yarns of a Summer Day, Robert Mangold’s A Triangle Within Two Rectangles Green, Georgia O’Keeffe’s From Pink Shell, and Alfred Jacob Miller’s Fort Laramie, Indian Girls Racing. In conjunction with the 2015 EXPO Chicago, we will be holding an opening on September 18th of Far Out Females: Mid-Century Chicago Surrealism. Offering select works by Gertrude Abercrombie, Macena Barton, and Julia Thecla, with a catalogue featuring essays by Dr. Ilene Fort and Dr. Robert Cozzolino, the exhibit will be the first in a number of exhibitions dedicated to the Chicago Modernist. More details can be found below. For additional information or questions, please inquire by phone (312) 943-2354 or email. Mongerson Gallery is now representing artist Amy Hutcheson. Details regarding her and her upcoming Holiday exhibition are forthcoming. Stay tuned. We are pleased to present the launch of our new, updated website. Features include current select inventory, notable sales, exhibition schedules and more. Announcing Far Out Females: Mid-Century Chicago Surrealism, an exhibition surveying the 1930 to 1960 works of notable Midwestern surrealists Gertrude Abercrombie, Macena Barton, and Julia Thecla. The preliminary show in the gallery’s Chicago Modern exhibition series, Far Out Females features essays by esteemed curators Dr. Robert Cozzolino and Dr. Ilene Fort. Currently the Senior Curator of Modern Art at the Pennsylvania Academy of the Fine Arts, Cozzolino is co-editor of an upcoming Chicago Art History survey printed through University of Chicago Press. Dr. Ilene Fort – Senior Curator of the Los Angeles County Museum of Art – is the author and curator of In Wonderland: The Surrealist Adventures of Women Artists in Mexico and the United States. For further information on this exhibition, along with information on the September 18th opening, please email info@mongersongallery.com or call (312) 943-2354.